Dr. Christopher Worswick is a Full Professor in the Department of Economics at Carleton University. 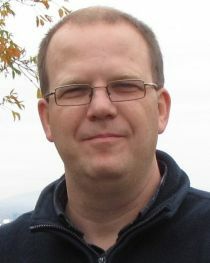 He has published over 20 academic journal articles on topics that include the earnings, unemployment, receipt of government benefits and labour supply of immigrants, the effectiveness of immigrant selection systems, the effects of mandatory retirement rules on the retirement behavior of university professors, as well as income inequality and household responses to crop loss in developing countries. In 2011, Dr. Worswick co-edited (with Ted McDonald, Elizabeth Ruddick and Arthur Sweetman) a book on the economics of immigration in Canada. Between 2008 and 2009, Dr. Worswick was the Priority Leader for the Economic and Labour Market Integration for the Metropolis Network of Research Centres in Canada. In 2011, Dr. Worswick and his co-authors (Charles Beach and the late Alan Green) published an influential book on the economics of the Canadian immigrant selection system. In 2012, this book was awarded the Canadian Economics Association’s Purvis Prize (for an outstanding written work on economic policy) and was a finalist for the Donner Prize (for best book on public policy by a Canadian). Christopher Worswick joined CReAM as an external fellow in September 2013.